Save time by hiding the columns you don't need to see. Create quick selections to display the columns you want with just a click! The Hide Columns Assistant add-in for Microsoft Excel hides columns you don't need to look at so that your focus is on the columns you do need to look at!. 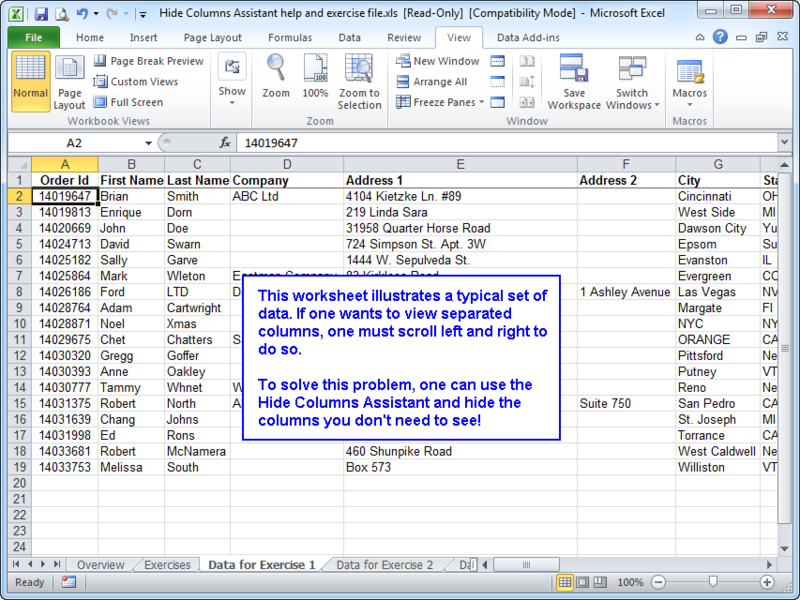 It is compatible with Microsoft Excel 2007, Excel 2010, Excel 2013, and Office 365. The key benefit of the Hide Columns Assistant is the hiding of the columns you don't need to look at so you can easily focus on the columns that you do need to look at. The entries in the box are the column headings. 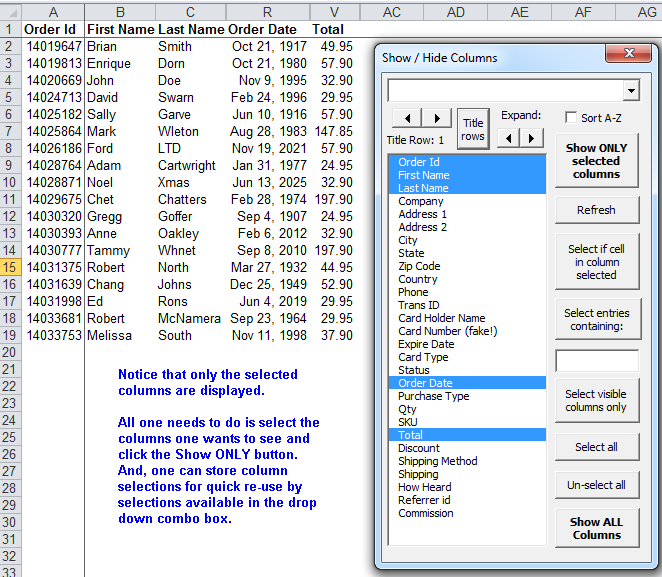 One can set a title row or use the button 'set title rows' and specify multiple rows as the title rows. One of the neat features is the Hide Columns Assistant remembers your last selections for a sheet. And, you can use the features in the dropdown box to create quick selection entries allowing you to quick switch beteen column views with just a click or two.